Frome is an amazing shopping destination. 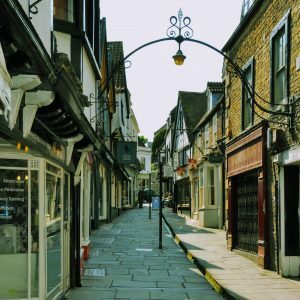 It takes great pride in the creativity and diversity of its many independent shops. 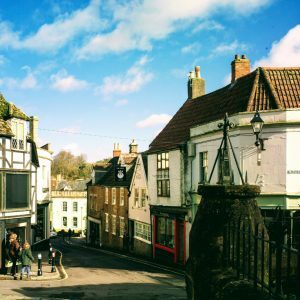 The town has always stood as a successful commerce and market town, and despite the decline of the silk trade it continues to thrive. This is due to the success of its dedicated entrepreneurs and skilled craftsmen and artists. 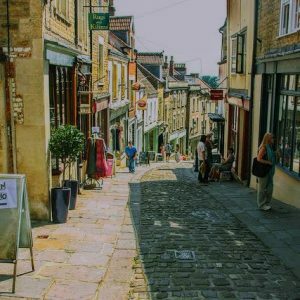 There are some well-known national chains here, however the best way to visit Frome is by wandering along its medieval shopping streets and browsing the many unique stores. Here you will find clothing, jewellery, arts, home décor, books and stationery, antique and vintage goods. And while you’re shopping, don’t forget to stop by for food and drink at our independent cafes and restaurants. You can also see our many different markets. Frome’s pride and joy. The leat carries the stream from the spring beneath St. John’s Church. Children love to drop things into it – and sometimes themselves! Walk up between the old shops with their hanging upper stories. Here you will find books, clothing, records, bags and other leather goods, housewares, specialty food, bread and cakes and some excellent places to eat or have a coffee. Traditionally referred to as Frome’s Artisan Quarter, St Catherine’s consists of Catherine Hill, Palmer Street, Paul Street, Stony Street and the lower part of Catherine Street. This is one of the historic areas of Frome, composed of cobbled streets which used to be the main road into Frome. 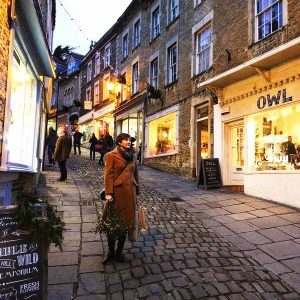 Now you will find classic gifts, stylish clothes and accessories, ceramics, haberdashery, classy burlesque dresses, vintage clothes, florists, ironmongery and some great cafes and restaurants. On the junction of King Street and the Market Place lies The Archangel. It is a medieval inn transformed into a boutique hotel, bar and restaurant. From there, King Street loops around to meet Cheap Street. On the way you will be diverted by independent shops selling fashion, fabrics, modern designer household goods, pet and aquatic supplies, The Three Swans pub and M & S Simply Food. Across the bridge from the Cattle Market Car Park is the Westway precinct. Long established local businesses based here sell toys, stationery, art and homewares. The Co-op supermarket sells dairy products from their own local farm and has an independent butcher. You will also find other national retailers at this location. 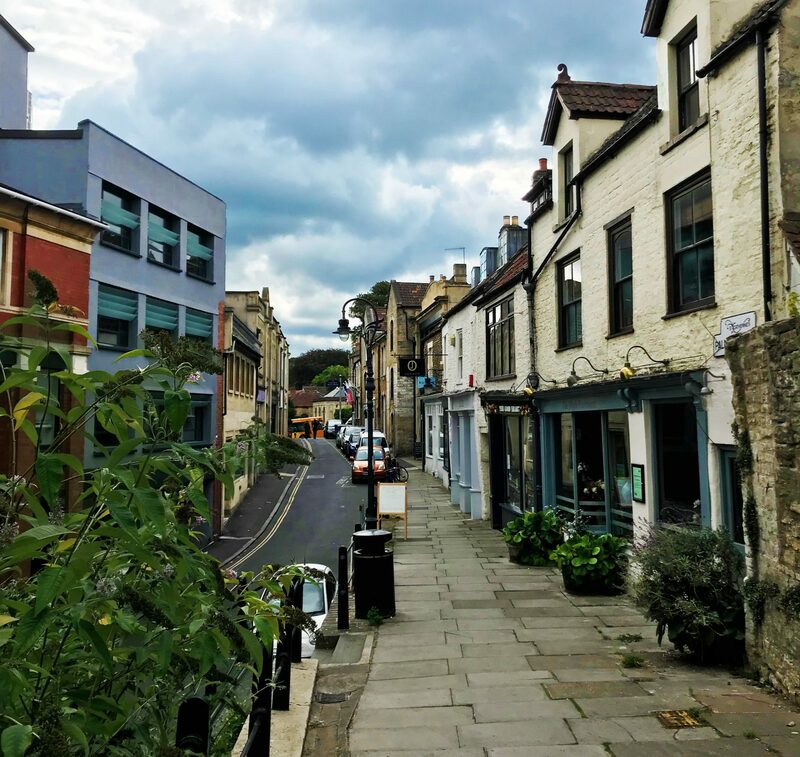 Located in the vibrant St Catherine’s quarter, Palmer Street is the home of a raft of independent shops including Frome’s newest tap bar and cheese deli, Palmer Street Bottle. Here you will also find The Old Bath Arms where they serve home made food from the finest ingredients, as well as offering en-suite rooms if you need a place to stay; Castello’s and Tibetan vegan pop up, The Good Heart, are also situated here. As you make your way down you can also find clothing shops and more places to eat such as The High Pavement, an intriguing evening café that offers “slow food” that is locally sourced, as well as exciting weekly menu changes. The Dandy Lion is a ladies and gentlemen’s vintage outfitters located on Catherine Hill. They also buy, sell and hire vintage clothing. Purveyors of vintage loveliness, household, architectural and object d’art. Truly Sopel is a women’s fashion label. They design tailored coats, jackets, ruched tops and dresses that are inspired by the colours of childhood. Established in 1884, The Co-operative is a local convenience store that offers great value food and ethical trading. Optical retail chain operating globally, which offers optician services. They also offer services with eyeglasses and contact lenses. Go Mobile has got great mobile phone deals for you on contract mobile phones from Apple, Samsung, Sony and more. A lovely little greengrocer and fruit seller. S K Fruits has a modern and fresh interior, yet with that lovely old-fashioned greengrocers atmosphere. Tucked into a tiny corner shop on the main Westway Precinct. Apricot is a one-stop shop for all shoe repairs, key cutting and engraving. Chain retailer specialising in cards, gifts and party products, including balloons and wrapping. Supermarket chain supplying frozen packaged foods, often discounted, plus some dry groceries. Fat Face is the leading designer of clothing and accessories perfect for an active lifestyle. Barber Shop located on Bath Street, Frome. Barbers Shop in the centre of Frome. Part 2 is a hair salon located on King Street in Frome.